I like this little beach. As you can see the view is beautiful. Not to mention you can see Boston in the distance! And over there on the left is Dogbar Breakwater. We'll see that in another post. 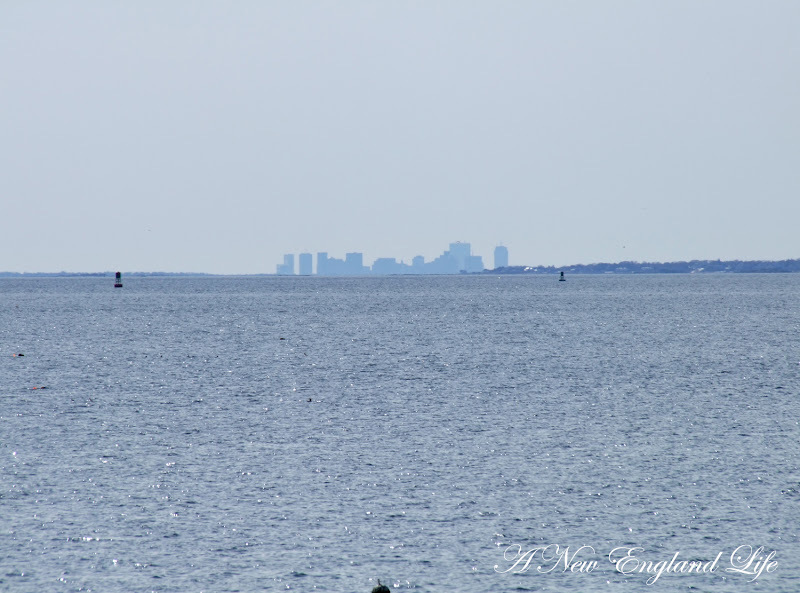 Jay from Cape Ann Images has a really nice photo of Boston's silhouette from Niles beach on his latest post. Jay is a true-blue, dyed in the wool Gloucester native so he knows everyone, and where everything is. 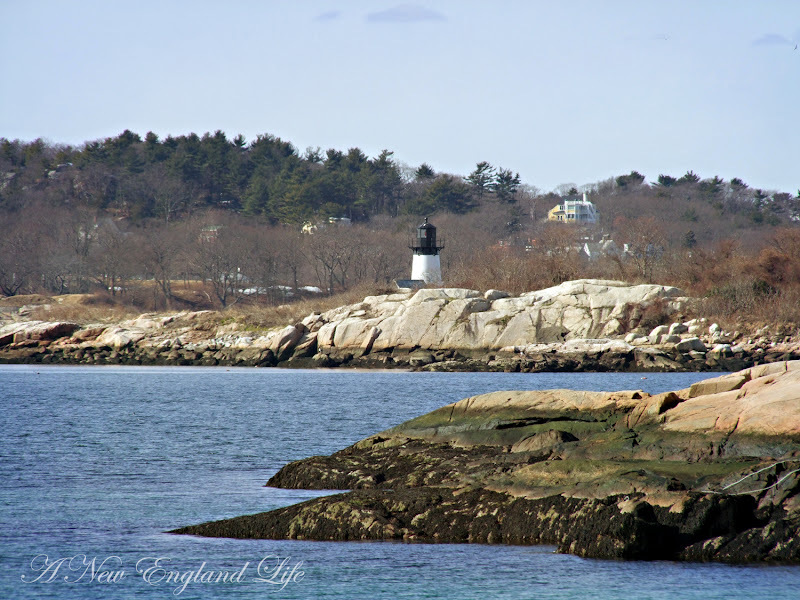 If I have questions about Cape Ann he's usually my go-to guy. Thanks Jay! And here's my girl, Elise. Cute as a bug. She's a silly, life-loving, fun kid who was thrilled to have a mommy and me day. Yes, she still calls me mommy. When you have kids, life gets in the way, and often there doesn't seem time enough to enjoy the simple things. This particular day was a day was a lot of fun. 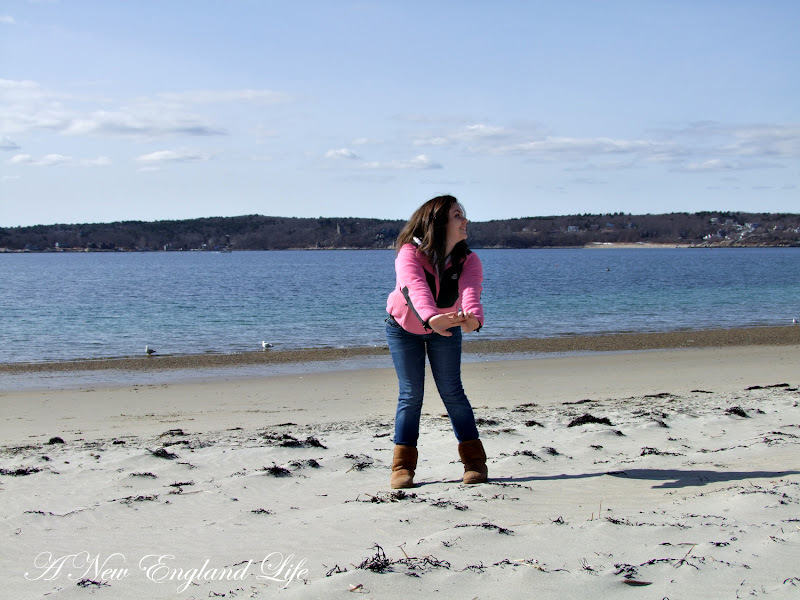 It is so nice you and your daughter had such a wonderful day at the beach. Elise is a very beautiful young lady. I wish I could spend more time with my daughters.I miss them. Elise is so pretty... what fun you two had and how playful a day. Very nice! Looks like a really fun day with some beautiful shots! Sounds like you made it out to dogbar? Can't wait to see the pics. Brianna calls me Mommy too! and we've been having some great "mommy and me" days since her surgery. I love it! Your daughter is adorable and so pretty! Did I ever tell you that Brooke's (my eldest) middle name is Elise? I love that name. I spent Friday with Brooke shopping and it was so wonderful to have that time to connect one on one with her. It's very bonding. Because you are so right, life moves so fast when you have kids. Looks like you had a wonderful day. Lovely photos and your daughter is lovely too. Oh, Sharon. She is as cute as a bug. I love this post - chock full of cuteness and beauty. Thanks for the smiles so early in the morning. What a wonderful day you two had. You made beautiful pictures of the beautiful beach and sea and of course of your lovely daughter. I only have sons and did miss these days but now I have granddaughters growing up fast and we have our shopping days now and then. What a wonderful thing to have a "mommy and me" day. you are both lucky that you do that. lovely young lady! Awww... love those photos of Elise! You always have the most breath taking pictures. So many scenic places near you. Beautiful pictures and I adored seeing how much Elise has grown up... she is so beautiful! The mommy and me days are special memory builders and I enjoyed seeing yours. So Sweet, my friend! ah! 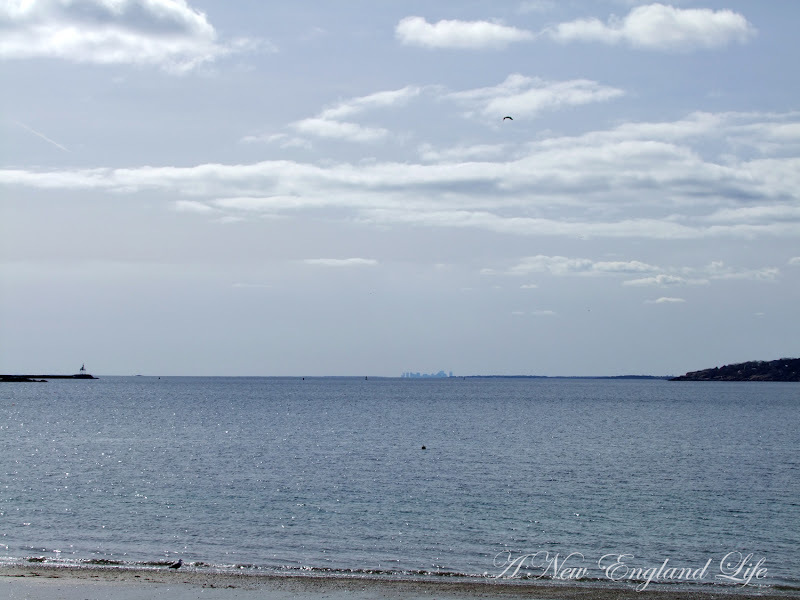 not falmouth little harbor - but great images none the less... thanks for sharing! Nice Sharon! I was there with my dog the day before. (Don't worry...I pick-up after her) Someday you should go back and check out the killer sunsets. Glad you had a good weather day! 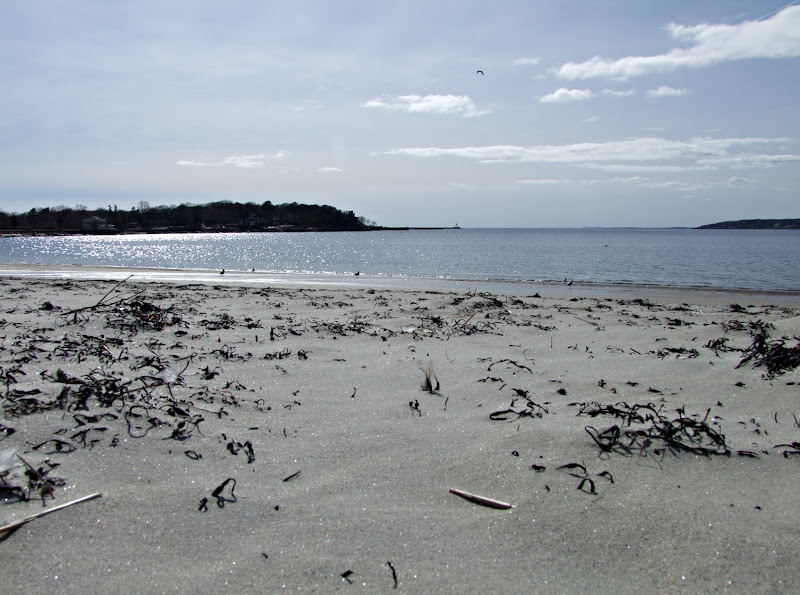 Oooh, I love the beach and ocean and this makes me yearn to be near one! Your daughter is just gorgeous! 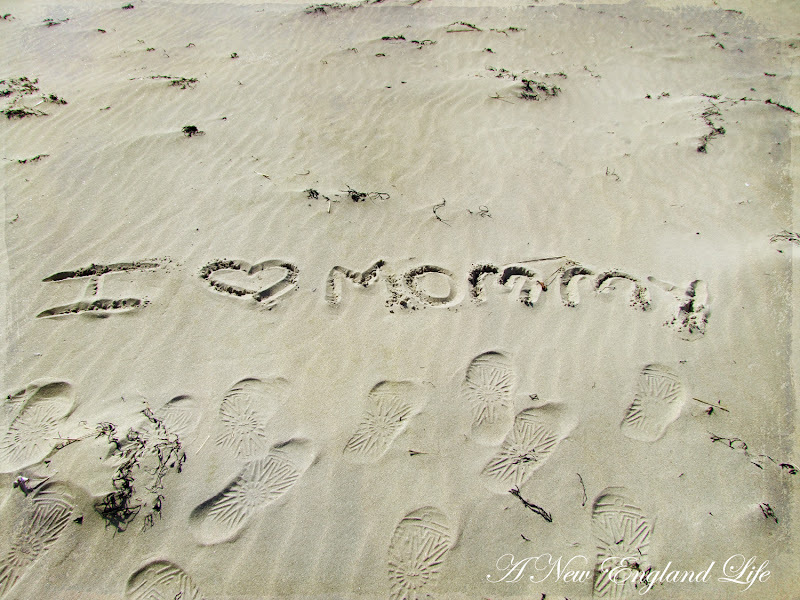 I love the candid pictures of her, and the writing in the sand! Sharon I love the shot where Elise has written in the sand and her footprints are under the message. As an adult she will have such great memories of times spent with you. I have such wonderful memories of special time spent with my Mom that I can bring up and warm my heart. Alot are memories from the beach. Your daughter is darling :) The B/W is stunning! I am Mommy to my kids too. When our 30 year old son got married his wife told him it was childish but he still calls me Mommy. My Grandmother was Little Mommy until she died at age 92. She was only 4'10". And beautiful photos, as ever. How fun! Don't you love Gloucester? Looks like a great mother/daughter day. I think they must be flooded out today. You were lucky the weather held out. Loved the photos! 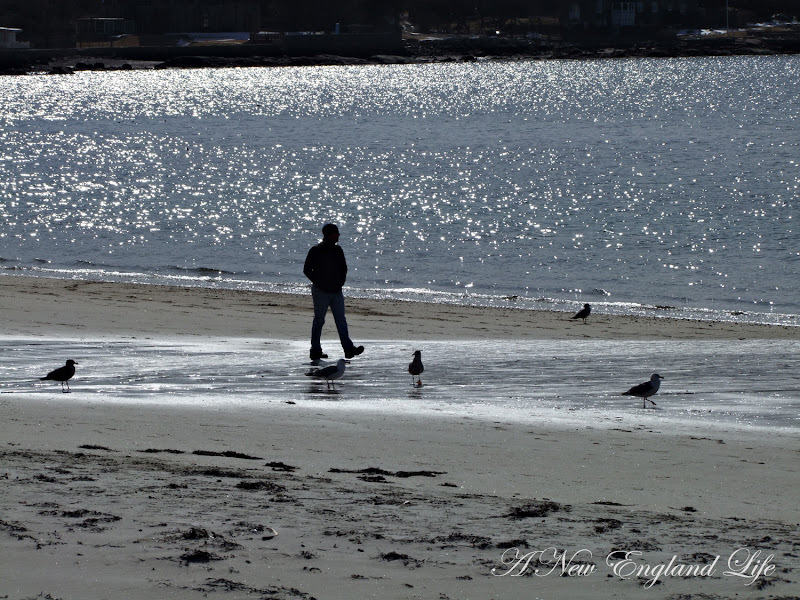 Really like the one with the man and the sea gulls on the beach. Your daughter is such a pretty young lady. Your daughter is adorable. What a beautiful place for a mommy and daughter day! 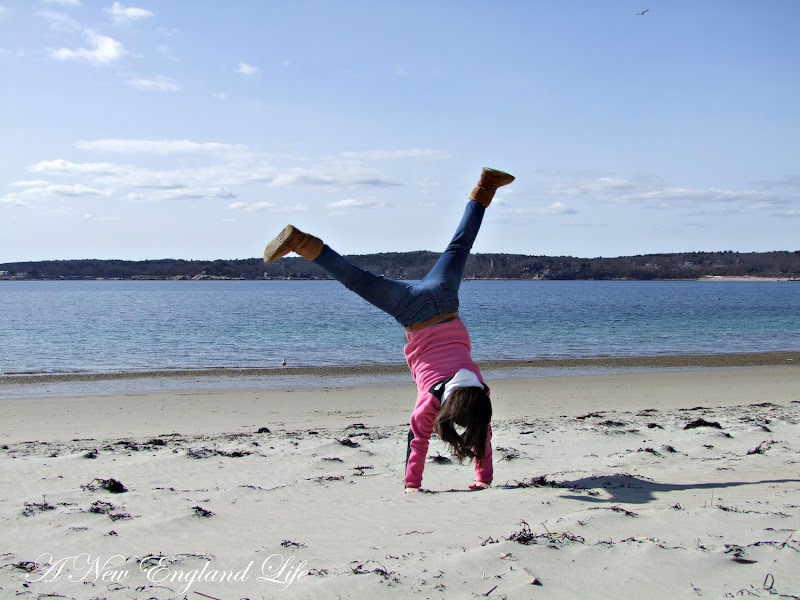 I laughed about what you said about doing a cartwheel. I tried one last fall and stumbled and almost cracked my head:)) I guess I won't be trying that again! ps....good luck to your friend! I hope she is taking after her mom and learning all about photography too! Awww, She is adorable..just like you....I voted for that fella..hope he wins!! These are so wonderful! Elise is so adorable and full of life. Looks like you had an amazing day on the beach. 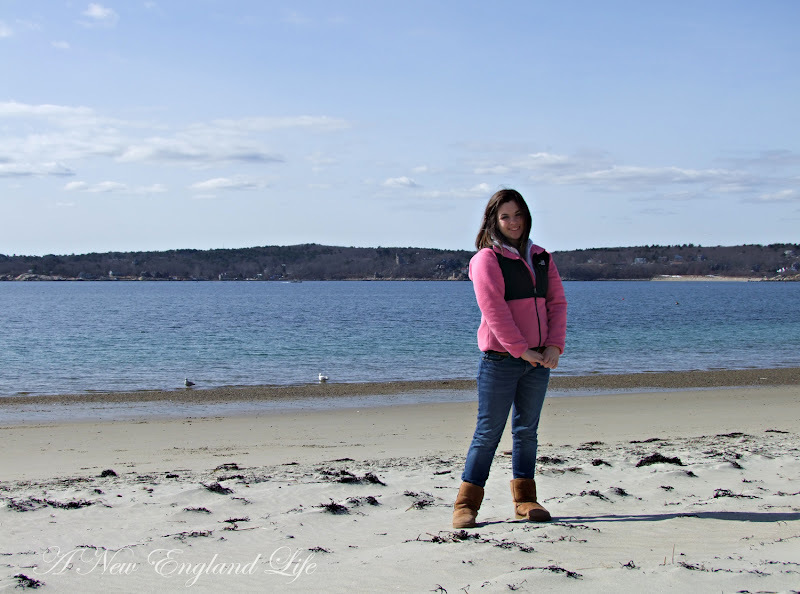 Love this post and your blog! Your daughter is so cute! Hugs!